t*rexes and tiaras: Tuesday Titles 153..
Oh, I've been practically sitting on my hands since this book arrived on my doorstep, waiting until I was allowed to share it with you. I think I began reading it back in November; it seems like soooooo long ago. But finally, here we are! 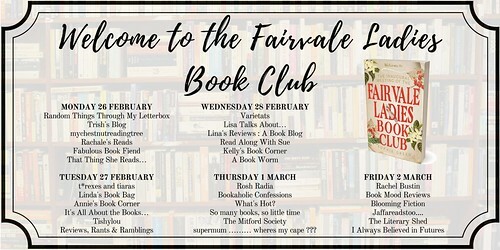 I'm so pleased to be part of this blog tour. 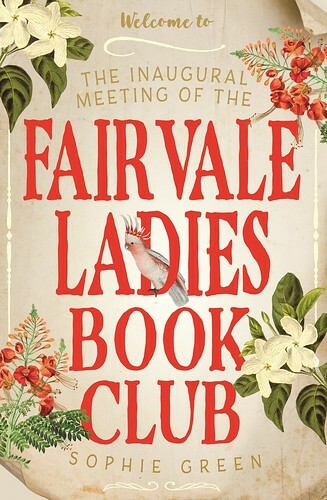 The Fairvale Ladies Book Club is set in the Northern Territory of Australia in the 1970s. Sybil lives on a remote cattle ranch and when her son Ben brings his new bride over to live with them from England, she's reminded of how isolated this life can make people. As a distraction technique, Sybil arranges a book club, in the hope that the ladies can find some common ground and perhaps even form new friendships. Sallyanne: local mother of three who is going through some troubles with her marriage. The book club gives the women, who may otherwise not have crossed paths , a reason to come together and over time friendships form. As life goes on, they come to rely on one another through deaths, divorce, illness and through other troubling times. The characters are all well-written and relatable and the chapters follow each of their lives. Despite the troublesome times which the ladies face, I'd say this is a feel-good book. As the years move on, each section begins with a list of the news reports from around the world in those years, which helps with grounding. A thoroughly enjoyable read, but don't just take my word for it - check out the other stops on the blog tour, too.